It was exciting time. We were building a new plant in India. We were all busy expanding our team and training the team for a successful commissioning of the plant. We were all longing to get into this brand new plant and start. Several months had passed before I got an opportunity to visit the plant. Geoff, the Project Manager, had been kind enough to agree to give us a guided tour of this new facility. Geoff, had been explaining, which equipment would go in which location and how much time it would take for us to get it all done. All was going well until I noticed that one of the key equipment was missing a cover. I was concerned that something may get inside it and may become difficult to clean or remove after installation. I brought it to notice of Geoff and I could see suddenly his facial expression change. I thought he had understood my concern, as he immediately called someone to put the cover in place, until my boss summoned me next day to his office. "Rakesh", he said, "what happened during the plant visit yesterday". I had almost forgotten about the incident. He told me that I have ruined my relationship with Geoff forever and it was because of the way I rubbed the people wrong way. That got me thinking. That afternoon I was in Geoff's office. I told him I was sorry. I explained to him my concern about something falling inside the equipment causing damage later and that my intention was not to blame. He was a generous man. He accepted my apology unconditionally and to my amazement our relationship improved tremendously. Fast forward twelve years. I no longer work for that company. Recently I was listening to a podcast, in which the author spoke about four types of apologies two that enhance the relationships and two that diminish the relationship, and this incident flashed before my eyes. Today I want to share these four types of apologies with you. The first apology that enhances the relationship is when you have different preferences and the other person is disappointed because of the choice that you made. It acknowledges that the person is upset without changing your choice. This is one of the most difficult apologies. It seems like that you are responsible for the other persons disappointment, when in reality it is just a matter of preference. The second apology that enhances relationship is when you actually goof up and say I am sorry. It is when you own your mistake and ask for forgiveness. Not apologizing when you keep your team waiting for ten minutes for a meeting will damage your relationship with your team, whereas apologizing for it will build it. The first apology that diminishes relationship is continuous apology for poor performance. This apology though appropriate diminishes relationship because they signify unkept promises or substandard performance. The good news is that the person making them is aware of his or failings and has a better chance of improving. Actually in this case it is not the apology that adversely impacts the relationship but the behaviour that requires continuous apology. The second apology that diminishes relationship is the one where a person apologize for things outside his control as if it was in his control e.g. someone in his organization not responding to my email, or that I was stuck in traffic jam for two hours while travelling to his office. It signifies weak grasp of reality. Using apologies is a craft. Both abundance as well as lack of them can damage relationships whereas appropriate use will help build strong relationships. 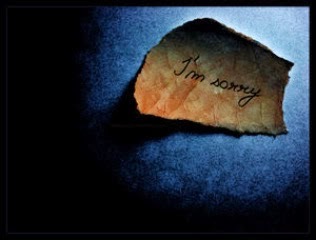 Skillful use of apologies will move you closer to the Art and Science of Leadership. If you like this post please share it with your friends. If you have feedback about this post or if you would like to share your experience or if you would like me to write about a specific subject please leave your comment on the blog. You could also get in touch with me personally at rakgoyal@gmail.com.